The Masters Pimento Cheese Recipe is a classic southern tradition, full of creamy swiss and cheddar cheese mixed in with just the right amount of pimentos. 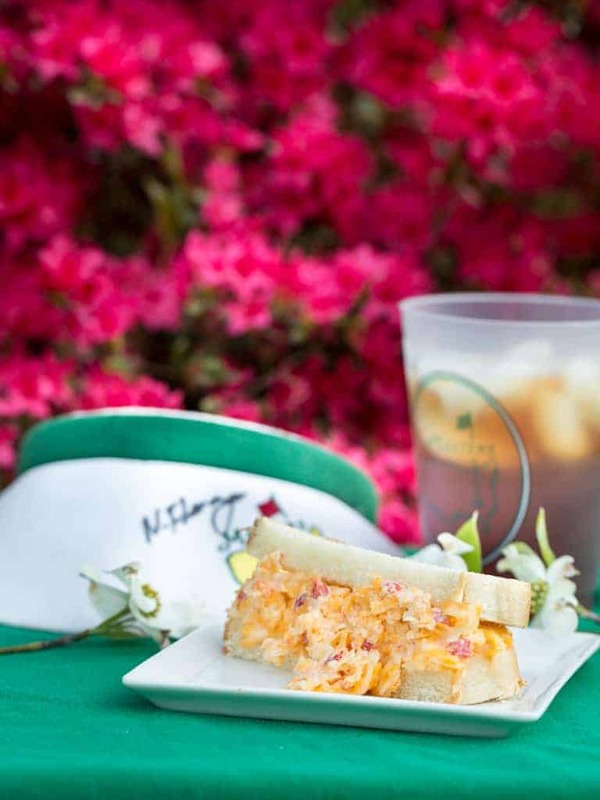 Masters patrons know that going to the tournament is not just about golf, it’s also about the food. The Augusta National is a first class act that always delivers in every part of the experience of your visit. Our family jokingly says if Augusta National ran our government we would have the best run country in the world. 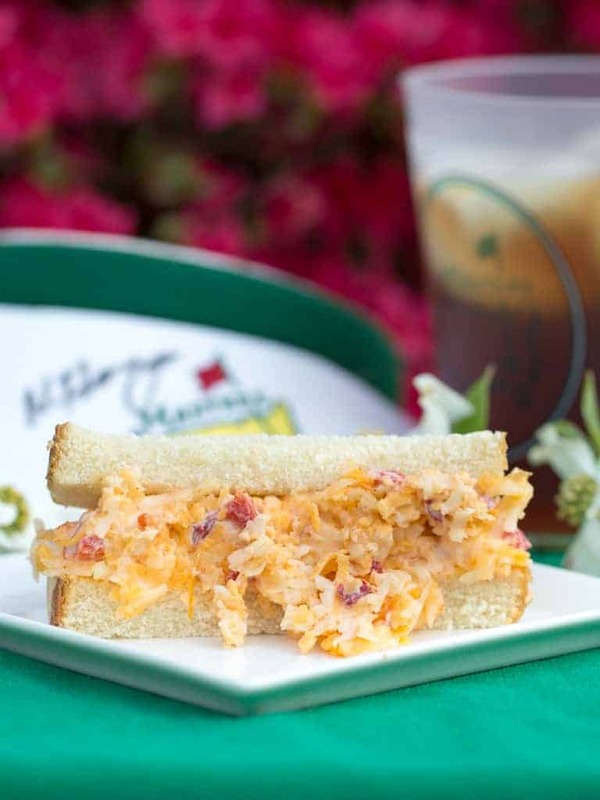 When we go to the course we strategically pace our eating for the day so that we can enjoy our favorite sandwiches such as their famous pimento cheese. We also buy all our drinks in the souvenir cup so we can take a little Masters home with us. You might be surprised by how simple the Masters Pimento Cheese Recipe is. The simplicity is what makes it so good. No fluffy fillers, just two kinds of good cheese, classic southern mayonnaise, a dash of seasoning and pimientos. Also, to have a true classic Masters pimento cheese sandwich you must serve it on white bread. It’s the only time of the year I eat plain white bread, it’s just part of the experience! It is also important to remember to shred you cheeses on a fine grater setting and mix well until the pimento cheese becomes one emulsified spread. Add mayonnaise, pimientos, and paprika, mixing well for about one minute until the spread is creamy and smooth. 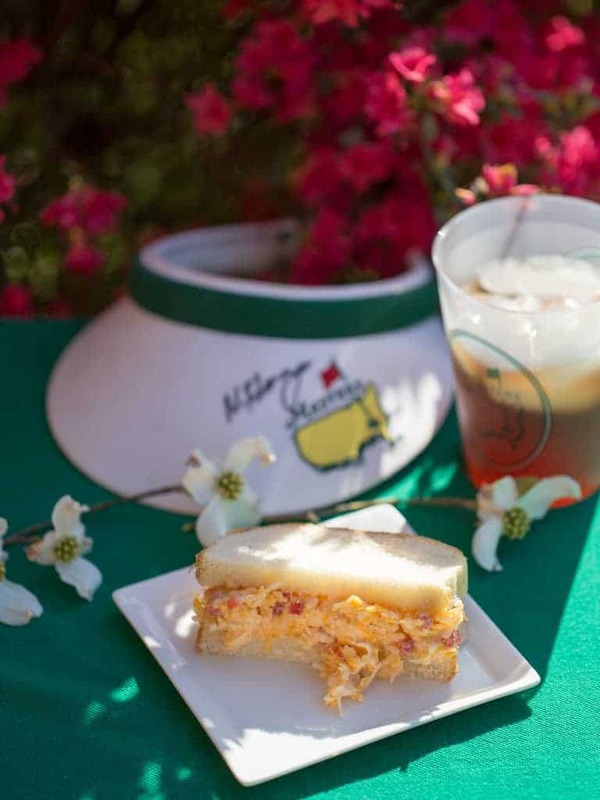 the Masters pimento cheese does not use Duke’s mayo. On the ingredient list on the wrapper, the mayo has lemon juice in it. Dukes does not have lemon juice as its acid. it has vinegar. Your recipe looks great! Thank you, I’m copying it right now. Thanks, I hope you enjoy it. It’s a classic just like the Augusta National.